For those looking for accommodation, quiet and services of the highest quality, 5-star hostels are the best options. They offer pace and hospitality for each tourist to stay full of tranquility and comfort. 5-star hostels from Cluj Napoca combines modern with past and traditions to provide an overview of the city of Cluj Napoca. Rooms hostels offer a true 5-star pampering with facilities contained as air conditioning, minibar / fridge, color TV, cable TV and extra programs, internet access, telephone, hairdryer, shower or bathtub, neutralizing odors. 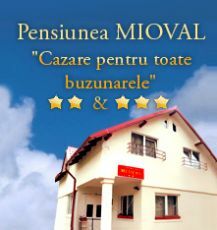 5-star guesthouse offers for guests additional services for an unforgettable stay. These include washing and ironing services, computer rental, secretarial services, room - service, ticket booking and facilitating the means of transport (air, bus, microbus), rent-a-car, taxi, tourist information and preserving cultural valuables of tourists. 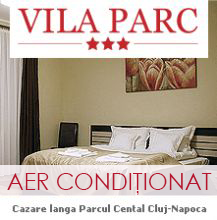 Usually these hostels are located in quiet area, close to points of interest and sights of Cluj Napoca. 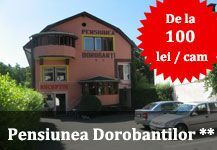 The price of a night's stay starts at 110 lei / single room.